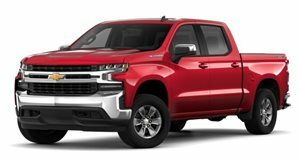 Output figures for 2019 Silverado's V-8 engines posted in order guides. The 2019 Chevrolet Silverado was revealed earlier this year, and so far General Motors has only said it will be powered by two V-8 engines and one inline-6 turbodiesel mill. The company, however, left out a lot of detail on the mills, even though two of them are effectively carryover engines with the added advantage of Dynamic Fuel Control that allows them to run on as few as one cylinder. Thankfully, the gents at have been digging through order guides and they've found some V-8 horsepower and torque numbers. When the launches later this year, 5.3-liter V-8 models will produce the exact same power and torque—355 hp, 383 lb-ft—as the outgoing truck. Meanwhile, those powered by the larger 6.2-liter V-8 engine will see horsepower increase by 5 and torque decline by 10 lb-ft, for a total of 425 hp and 450 lb-ft. 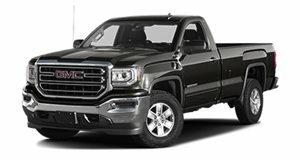 These figures almost certainly translate to the forthcoming as well, while other models built on GM's truck platform may also get the same upgraded engines and their associated output. No figures were detailed for the all-new 3.0-liter turbodiesel inline-6, nor were there fuel economy figures posted for any of the engines. In the same article, claims there is still a few more powertrain options on the way. There will likely be a smaller base engine to slot below the 5.3-liter V-8, possibly a replacement for the 4.2-liter V-6 that currently does duty in the Silverado and Sierra. The website also posits another engine could slot between the 5.3- and 6.2-liter engines, possibly with some sort of forced induction. A hybrid model will also join the trucks at a later date, possibly an updated version of the mild hybrid system the company fit to the current truck.